Paula Beckman (Ph.D.) is a co-founder of International Partners, is Vice President of the Board of Directors and serves as International Partners’ Education Advisor. An internationally known expert in early childhood development, special education and family support, Dr. Beckman is on the faculty of the University of Maryland. She has 30 years of experience conducting training and in developing, implementing and evaluating projects, particularly for young children and their families in community settings. She has written two books, over 60 articles and chapters, and has edited a series of booklets on this topic. She has directed numerous research, teacher training and community development projects as a Professor at the University of Maryland. 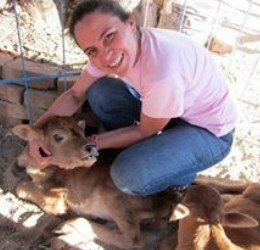 In addition to her work in El Salvador, she has provided consulting and worked on educational projects in Guatemala, Nicaragua, Panama, and Honduras, Switzerland and Germany. She also consults with early childhood programs throughout the United States and has served on the Executive Board of the Division for Early Childhood, Council for Exceptional Children, served for 12 years on the State of Maryland’s Interagency Governing Council for Infant and Toddler Programs, and has served in editorial roles for numerous professional journals. Don Montagna is President of the International Partners Board of Directors. He was the senior leader of the Washington Ethical Society for 34 years and a member and leader of the American Ethical Union since 1968. He is the founder of numerous volunteer projects in fields ranging from homelessness to education. He is a noted speaker and workshop leader who has written several personal development curricula and who has a list of 200 tapes in circulation. Mr. Montagna specializes in leadership development and has recently been seeking resources to invest in leaders from the world’s poorest places. In addition to his work in El Salvador, he has provided consulting related to community development and education in Guatemala, Nicaragua, Panama, and Honduras. He has conducted training for US AID in the Philippines and Ethiopia, as well as in the United States. We met Noel de Jesus Iraheta in an early visit to Hacienda Vieja and found him to be an exceptionally gifted pre-school teacher. We soon learned that his ability to teach was only one of his multiple talents. Over time, learned that he was also an outstanding leader, a gifted artist, and a wise soul who supported his mother, sister, and her children by teaching and by working in the area of agriculture. As the young President of his community, he proposed and implemented the building of a pre-school, community center, and Library-Education Center. He was singled out by IP delegates as a person with outstanding potential and they raised funds to help him finish school. With an IP scholarship, he also proved to be an outstanding student, finishing high school with honors and going on to graduate from the University of El Salvador (“National University”). After graduation, he became the IP Director of Agriculture and Training. He has become an expert in dairy farming. 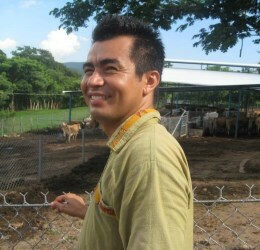 He has created a model, self-sustaining dairy farm at our rural training center which is used by universities and the Salvadoran Ministry of Agriculture for training purposes. He has also launched a number of other initiatives, training youth to do vegetable farming and launching our honeybee initiative which is now producing honey. Elba Nohemy Rodríguez Funes is the Director of Social Programs for International Partners in El Salvador. We first met Elba in a week-long training we led for 24 preschool teachers. Afterward, when we visited Hacienda Vieja to watch her teaching 25 children outside of her mother’s house with Noel Iraheta we were impressed. We invited her to co-lead a subsequent the training with us for another group the following year. As Vice-President of her community, Elba proposed that we help build a pre-school on a site that was in the center of the community but was then the community dump. She and Noel prepared a proposal and organized their community to host an IP delegation and to volunteer to build the preschool. Enough IP delegates were convinced of her outstanding abilities that they raised funds for a university scholarship where she proved to be an outstanding student and earned her degree as a social worker. After graduation, Elba became the IP Director of Social Programs. She supervises the 5 Library-Education Centers and trains the facilitator-teachers. She worked developed and leads a program that teaches leadership skills to elected community leaders, CODECO. In this program grassroots leaders learn how to priorities community needs and develop plans to fund and implement projects. Elba also organizes and prepares communities to host IP delegations. Most recently, Elba has been implementing IP’s new project to support people with disabilities. 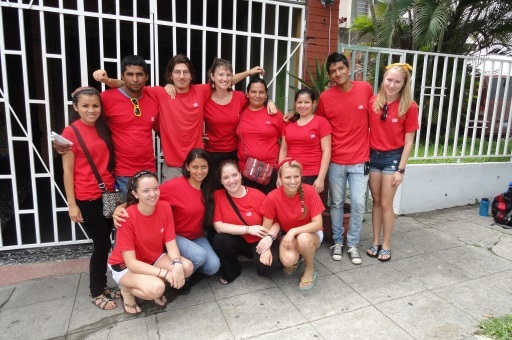 Team Leaders.International Partners has an active and dedicated group of team leaders who have experience on our delegations and who have been through an intensive training program. They coordinate with local community leaders in each village, manage the work site, and organize recreational activities and group reflections on evenings and weekends.